We are leading manufacturer of Slider Windows. AMD was incorporated in India to manufacture UPVC windows and doors that are world class. In order to achieve this goal AMD has imbibed the global business values right from the beginning. Profiles being the most crucial component of the window, are extruded using world class German technology and designed based on European styles & perfected to Indian conditions. Windows Crafted on World Class Facilities Windows are meticulously crafted using fully automatic robotic assembly machines, profile lamination machines, CNC glass cutting machines to ensure absolute quality and perfection. 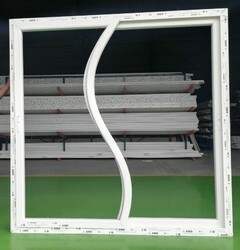 We are the supplier of the S Type Sliding Window to our clients. The Slider Windows are made up of two (or more) sashes that slide horizontally, to the left or right, on tracks. The sliding uPVC windows/doors can be made wider and taller with the addition of sashes. Slider Windows are made up of two (or more) sashes that slide horizontally, to the left or right, on tracks. The sliding uPVC windows/doors can be made wider and taller with the addition of sashes. 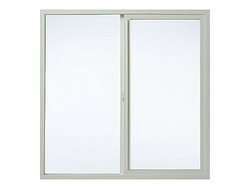 The Slider Windows is used if the window should not be turned or tilted for an opening. Ideal solution for narrow spaces developed for balcony, terrace and many indoor applications. Metal roller track & low friction adjustable tandem rollers keep panels sliding easily for years. 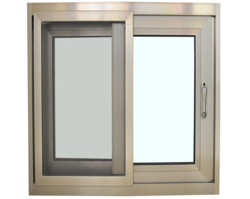 These Windows are also available with Mosquito Mesh and Heat & Sound Insulated Glass. Its unique sealing mechanism comprising of a thick strip of wool pile between all sashes helps in keeping pollutants and insects out. 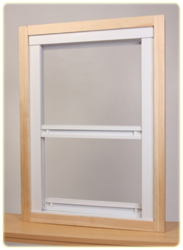 A special locking mechanism reinforced with anti-lift locks prevents the windows from being opened from outside. Interlocks between all the panels restrict the entry of pollutants and insects. As an additional accessory, a customer can also opt for the bug screen (Mesh).